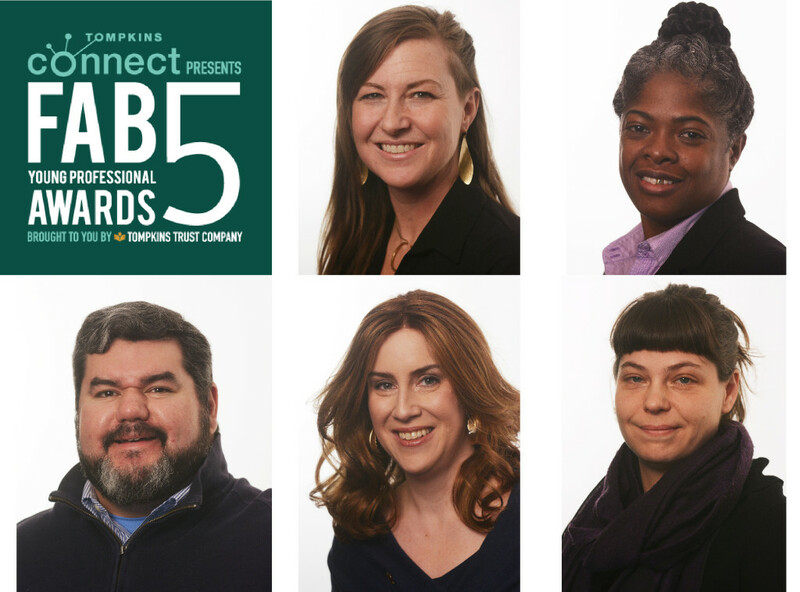 ITHACA, NY – Tompkins Connect, in collaboration with Tompkins Trust Company, Tompkins Chamber of Commerce and the United Way of Tompkins County, are pleased to announce the winners of the Third Annual Fab5 Young Professional Awards. These awards highlight and celebrate the achievements of young professionals, aged 21 – 40, who are excelling in their respective fields and making an impact in Tompkins County. Once again, the judges had the privilege of reading through over 100 stellar nominations as they selected the outstanding w inners for each category. These young professionals have shown tremendous success and passion through their work within this community. All members of our community are invited to honor and celebrate them at the 2018 Fab5 Young Professional Awards. The awards ceremony will be held on Monday, February 26th at Coltivare, 235 S. Cayuga Street in Ithaca, NY, from 5:30 to 8:30 PM. Tickets are currently on sale, and include not only entry to this fun and fantastic event, but a delicious dinner as well. Registrants can receive $15 off the ticket price by using the promo code provided on the event page. Visit www.tompkinschamber.org/Fab5Awards to learn more about the winners and to purchase your ticket today.